TVR eying return, new 500hp coupe may come to US? 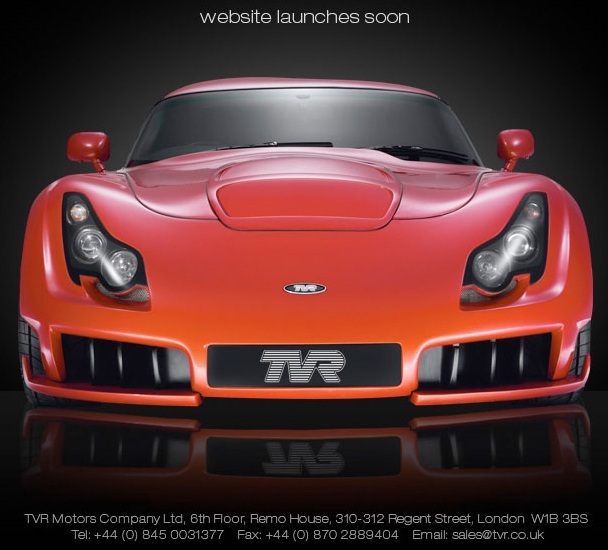 British sports car maker TVR may be on the verge of coming back to life, according to a report at PistonHeads. The firm, owned by Russian Nikolay Smolenski, updated its website to indicate a new site is “coming soon” and is reportedly planning to launch an all-new model within a few months, possibly at the Goodwind Festival of Speed in July. TVR’s cars have usually been powered by the company’s own engines, but this time, the carmaker may turn to “crate motors” from Ford or Chevy, which would greatly facilitate US sales (by reducing the homologation expenses required). In any case, expect a wildly-styled two-seater, >500 HP, front-engined, rear-wheel-drive coupe, likely produced in Germany.